A new infographic by van leasing experts LeaseVan has been created to celebrate all things to do with one of Britain’s iconic vehicles – the humble white van! They’re a staple of the UK’s road network but, for many, they are seen as a bit of a nuisance. However, is this really a fair view of a road user which not only delivers many vital necessities to consumers, but also serves as the backbone of the motoring economy? 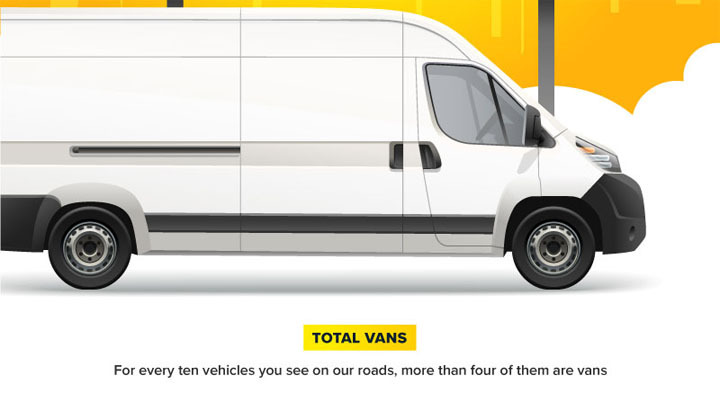 After researching government statistics, as well as research from top insurance companies, LeaseVan has created an infographic designed to quash the negative stereotypes surrounding the white van, and bring to the surface statistics which shine a new light onto the subject. If you parked all the vans in the UK end-to-end, they would stretch 28 times the length of the A1. Vans account for 9 per cent of traffic in the UK. The term ‘White Van Man’ was first used in the press by the Sunday Times back in 1997 by transport editor Jonathan Leake. More than one in 20 owners of white vans confessed to enjoying a romantic encounter inside their vehicle. Tim Alcock, head of online at LeaseVan, commented on the infographic: “I think people forget about all the good these white van drivers do across the UK and have their opinions clouded with a few bad experiences they’ve had with a minority of inconsiderate road users. Next : Meet the Litter Gripper!